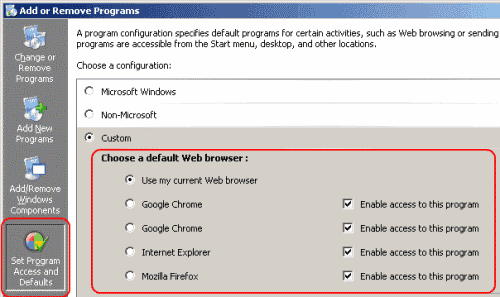 Where can you set your default web browser in Windows XP? 3. Click Set Program Access and Defaults on the left pane. 4. Open the Custom area. 5. Select the bullet for the browser you wish to be the default.